Please have a look to the Salt Water Pools in Tennessee swimmers like you have reported. Is your pool not listed? Contact us to ADD IT. It's totally free! We currently have the following Swimming Pools, but we are always grateful for any corrections or contributions. Get in touch via our contact type. Not all countries are the same, and swimming regulations and rules are changing from one country to an additional. Water sports are increasing especially in elderly population sectors who have suffered some kind of muscle or bone damage. Looking for Salt Water Pools in Tennessee? Numerous of them belong to gyms or sport centers which also give lessons. Are you on holiday and want to keep fit and healthful? 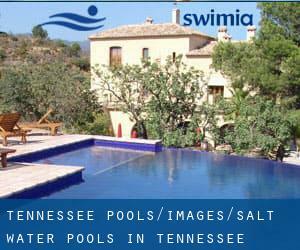 Swimia.com offers you the painless and quickest method to uncover pool near Tennessee. It's difficult to visit Tennessee with out dropping by Chattanooga (with 167.674 residents). At present Swimia is showing you all of the Swimming Pool in Chattanooga and the closest pools situated in its vicinity. Let us tell you a secret to switch off while you are in Knoxville: just pick out a Pool in Knoxville and plunge into the water! There's no even more efficient strategy. Without a shadow of a doubt, swimming in Nashville-Davidson (balance) will be the ideal solution to unwind after work. Take a couple of minutes to browse Swimia's catalog to find a Swimming Pool in Nashville-Davidson (balance). Swimming is really a fantastic thought to keep your body active in the course of your visit to East Chattanooga (Tennessee), or even for anybody who is a local. Swimia assists you to find your closest Swimming Pool in East Chattanooga. Updated on 2019 78-128 Ehukai St. , Kailua - Kona , Island of Hawaii, HI , USA (Postal Code: 96740). Swimmers like you have reported 103 feet x 36 feet, Salt Water, Outdoors. Also, you will find 73 feet x 25 feet, Outdoors. Just in case you want to make contact with this Swimming Pool prior to dropping by, we only know the phone number. Updated on 2019 Highway 30A , Alys Beach , FL , USA (Postal Code: 32461). Swimmers like you have reported 100 feet x 50 feet, Salt Water, Outdoors. Also, you will find 25 yards, Outdoors. If you need to contact this Swimming Pool, e-mail address and phone number are both number. 150 Thunder Trail , Ketchum , ID , USA (Postal Code: 83340). Swimmers like you have reported 25 yards, 6 lanes, Salt Water, Outdoors. Also, you will find 25 yards, 3 lanes, Salt Water, Indoors. If you'll want to contact this Pool, email address and phone number are both number. 2880 Michelle Drive , Irvine , CA , USA (Postal Code: 92614). Among all the activities provided by the center, when you are interested in swimming you will enjoy 25 yards, 3 lanes, Salt Water, Indoors. Just in case you need to contact this Swimming Pool before dropping by, we only know the phone number.